Head over to get this Wristlet Print Pouch for ONLY $6.99 (Retail $22.99)! 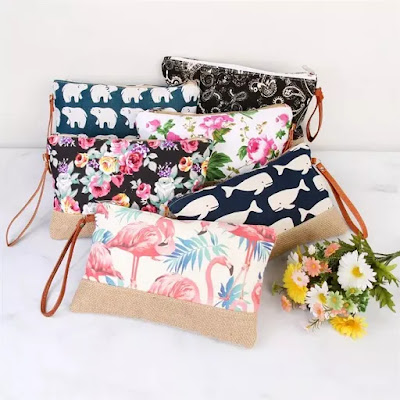 When you need a bag that's fashionable and functional, reach for these cute printed pouches. These are cute enough to carry as a clutch and roomy enough to be a makeup bag. The zipper closure keeps all your items stored securely, so you can toss it into your gym bag or purse without worry. Shipping is $2.99 for one and $0.99 for each additional.